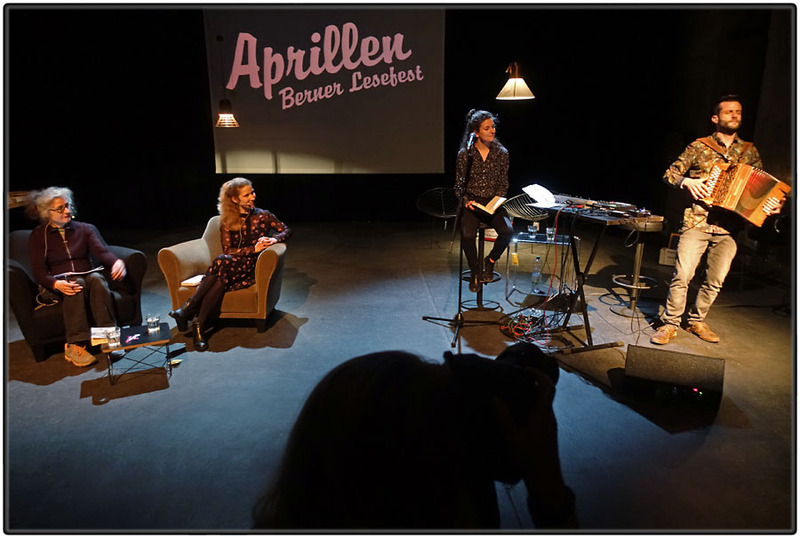 Reading by Lisa Halliday (second from left) at Aprillen literature festival (Bern, 3 April 2019). Lesung von Lisa Halliday (zweite von links) am Lesefest "Aprillen" (Bern, 3. April 2019).